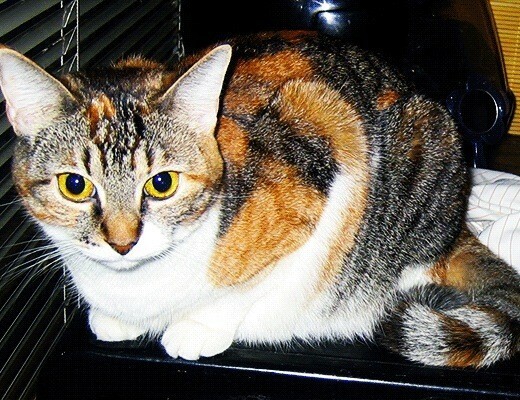 Calico refers to the coloration of these sweet, loving, and loyal cats rather than defining an actual breed. Calico cats are generally accepted into many breeds except, for example, pointed breeds, ie. 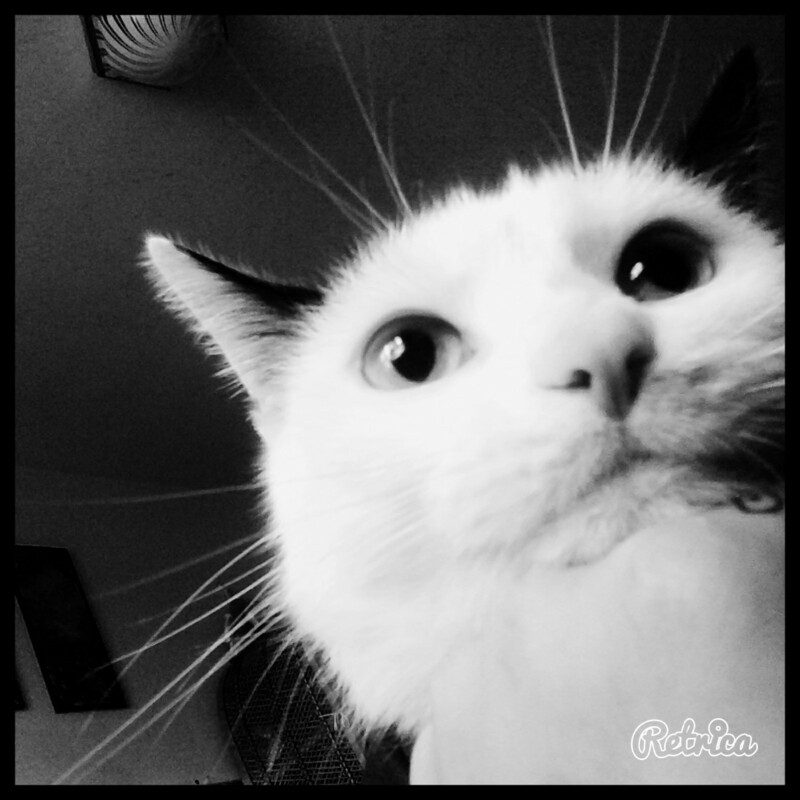 Siamese. 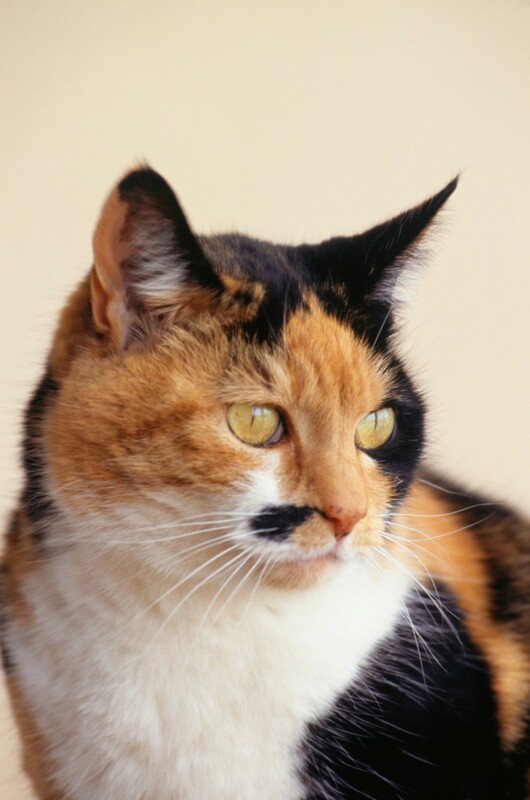 This is a guide about Calico breed information and photos. 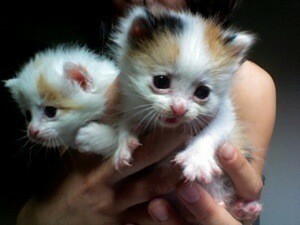 Question: Why Are Most Calico Coated Cats Female? I have heard that over 99% of all calico cats are female. Many years ago I read an article in a cat magazine that explained this. Apparently, color in cats is related to gender somehow. Does anyone have any easy to understand information about this? We have a young calico colored cat. 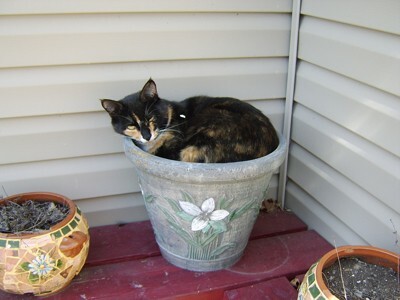 It has very light tan markings plus blue colored markings and no other color on it. I have never seen a blue and light tan colored cat before. Does anyone know anything about this color of cat? It's called a Blue Cream or a Dilute Tortoiseshell or Calico depending on how much white. Tortoiseshell is probably the name you are looking for. 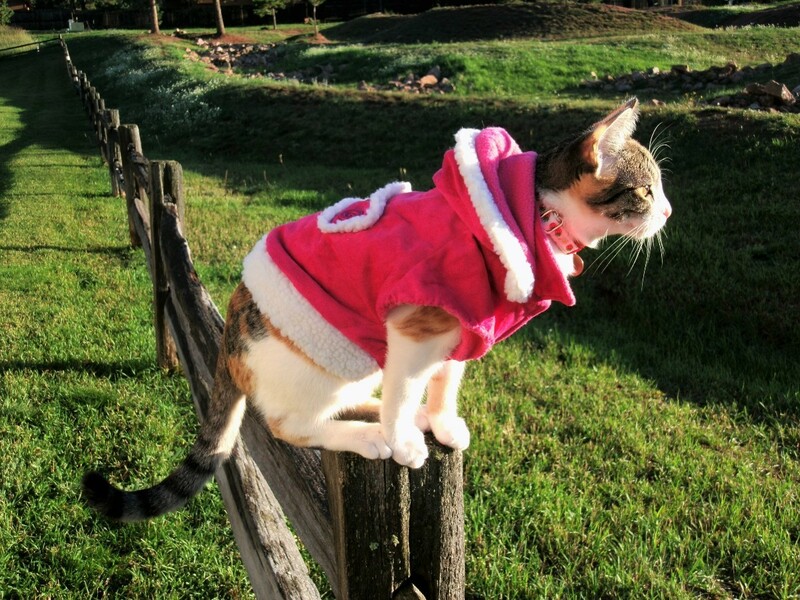 Pepper is a calico cat and lives in the barn. We adopted her when we moved here. We noticed lately that she loves to climb trees and shrubs. 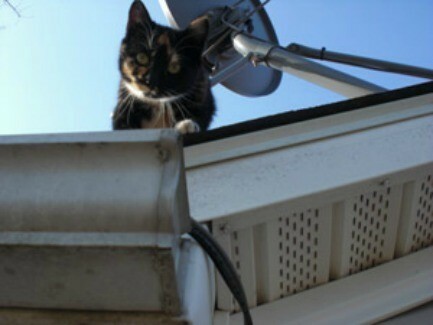 She had been eyeballing the bird feeder for a few days; watching from the ground. Tilly and Sophie are 3 months old and Calicos. My daughter's friend found the kittens abandoned in her garage. They were only about 3 weeks old. They love to chase each other around the house. And they snuggle together when they sleep. They really love each other! Cheebus is 9 years old. Cheebus is very special to me because my best friend gave her to me right before she passed away from a sudden severe stroke at the age of 29. I wasn't looking to have another cat, but she told me I'd make a good mother. Oh, has this cat ever brought so much joy into my life. The best thing about her is I think of my late girlfriend -every- time I look at Cheebus. What a beautiful gift. Cheebus knows my schedule very well. She will sit inside the bathroom sink minutes before she knows I'm going to brush my teeth and put on my makeup. She likes to sleep next to me the way a human sleeps in bed. When I wake up in the morning, she is laying parallel to me with her head on the pillow and her body tucked under the blanket, body straight. Cracks me up every time! She is truly something special. Tater (Tat) is less than a year old. She's a "Heinz57" (mixed breed, unknown, Mutt). When I first moved here my neighbor brought her to me. She likes to catch mice and bring them to me! Tater likes to nap with me. 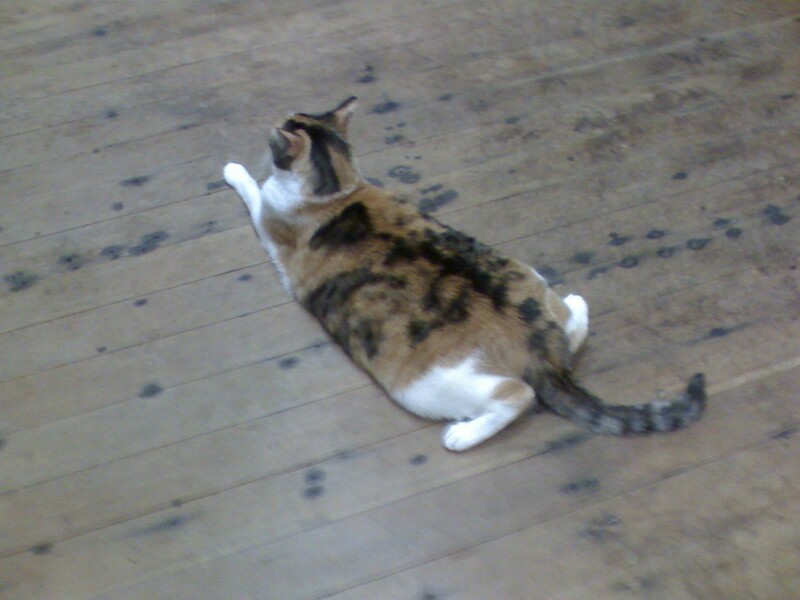 Pip is an 8 year old calico cat. I found her as a tiny kitten one very hot day while taking a walk. She was huddled on the sidewalk in the corner of a downtown building. 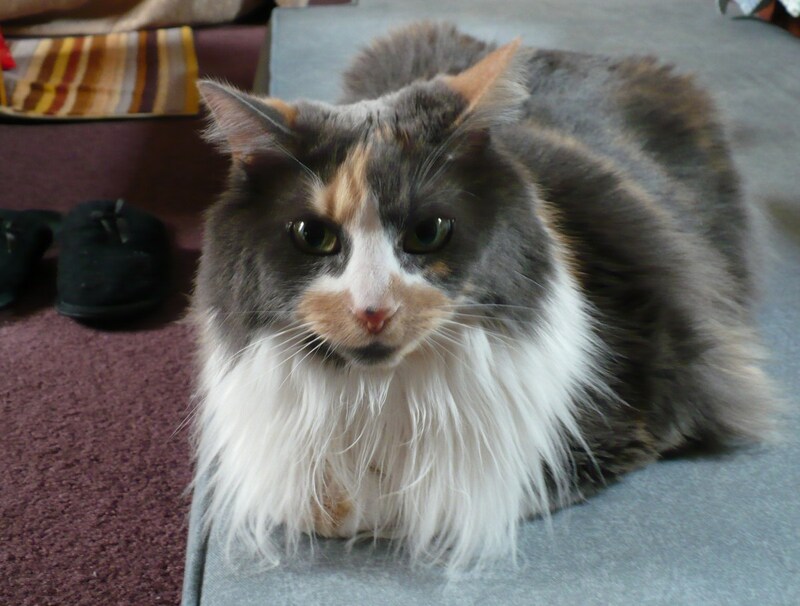 Kelly is a 6 year old long haired, calico cat. We got Kelly from a friend who is moving from Washington to Michigan. She has been living with us for three months now. 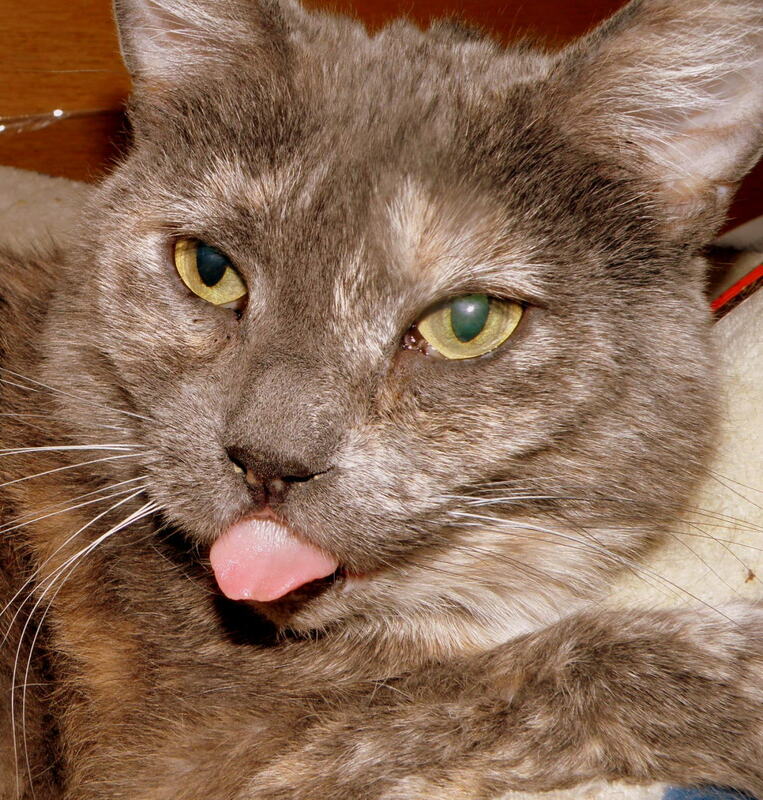 Kelly is very loving, playful, and flirty cat. 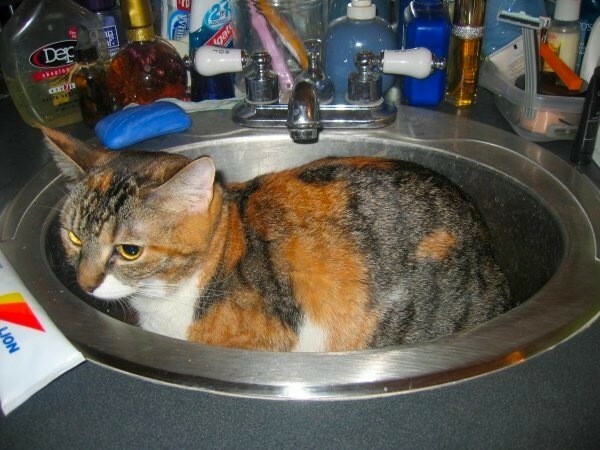 Bella is a 4 year old Calico Cat. I was fostering Bella last year for PURRS in Naperville. I fell in love with her and wanted her to stay with me forever. 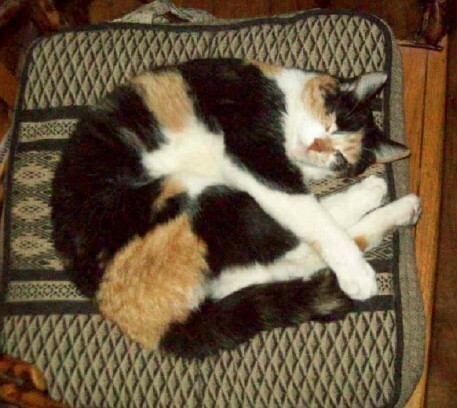 Callie is a 4 1/2 years old calico cat. We got Callie from a friend, when she was a tiny kitten. She was the runt of the litter. 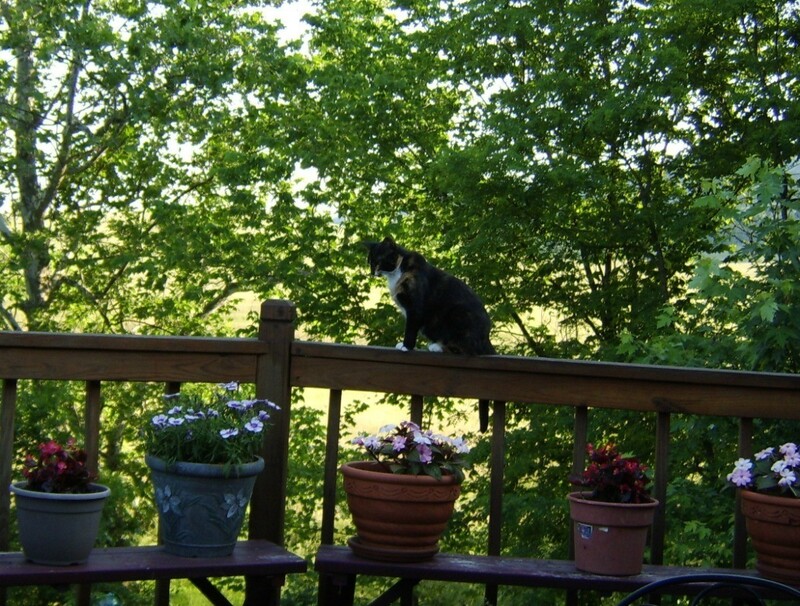 Callie loves to play outside, and chase the butterflies. 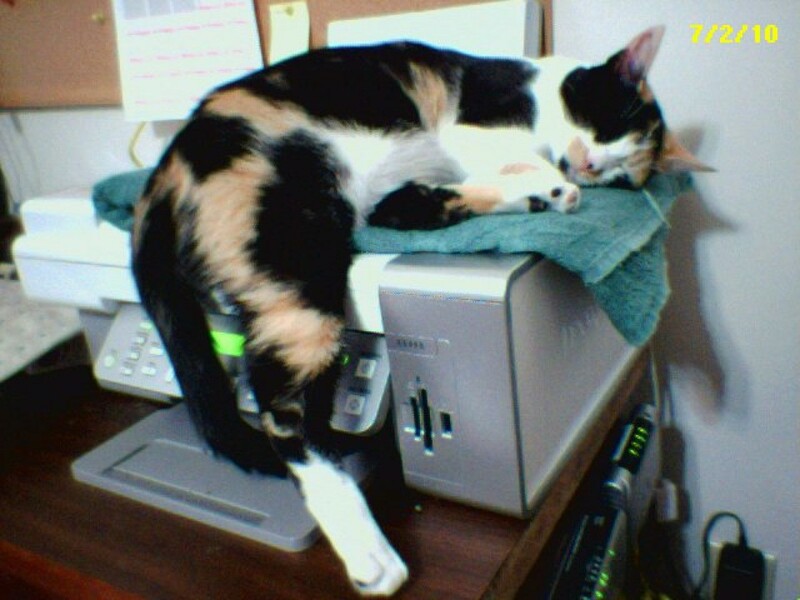 How often do we feel just like this while waiting for that important fax? This is Gizzy, our 2 year old. My husband named her Gizmo after she had laid her ears flat out once as a kitten while watching a bird. 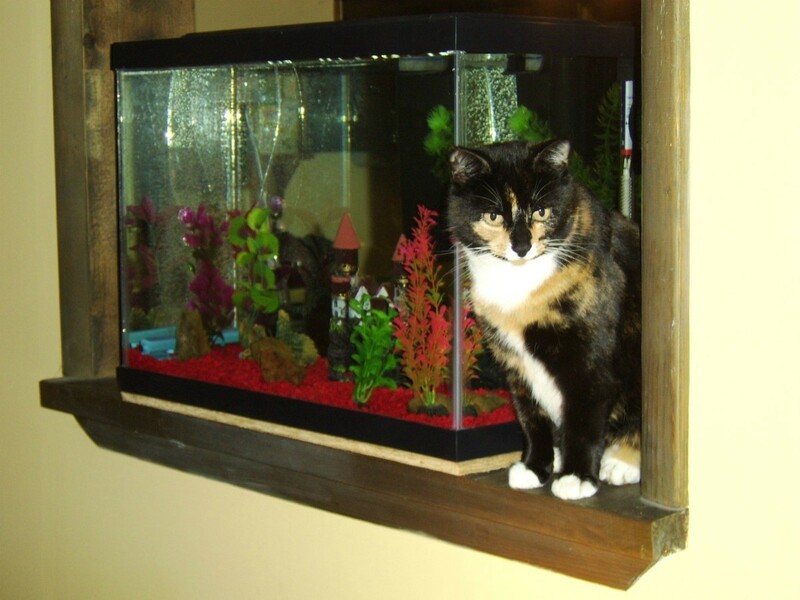 Since I got this fish aquarium, it is Callie's favorite place to sit. She loves watching the fish swim and bats at the outside glass. Bet she would love to really get at my fish! 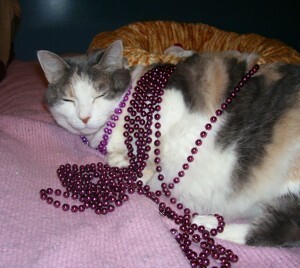 Lucy is a 10 year old Calico cat. I got Lucy 9 years ago when a friend had a baby and got rid of Lucy. I would rather have Lucy then a baby any day. This is Molly. She is a healthy 7 year old, and was about 2 weeks in this photo. 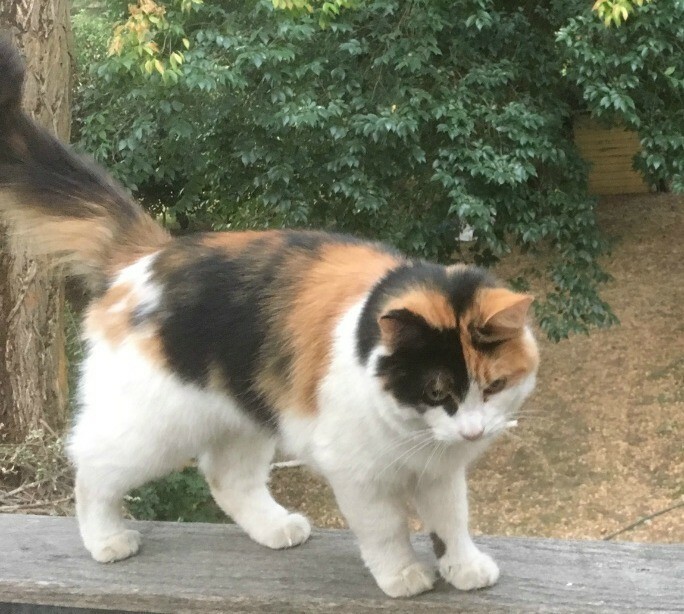 She's a medium-long haired calico. Molly was found by my neighbor when she was 2 days old. Her eyes didn't open for a week. 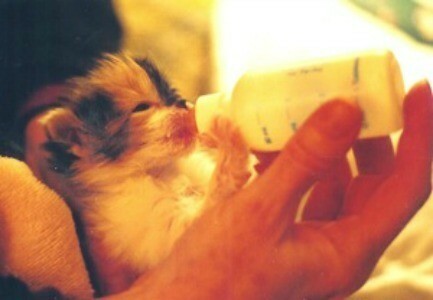 We fed her with a bottle which you see, she took to easily. Penny was a rescued barn kitty. Her owner needed to move and could not take her across country. I got her from my aunt about 4 months ago, but I knew her when she was a baby as well. Earlier this year, I was all ready for a kitten. I had bought food, a litter box, litter, toys, a brush, a bed, everything I needed. The only thing I was missing was the kitten. 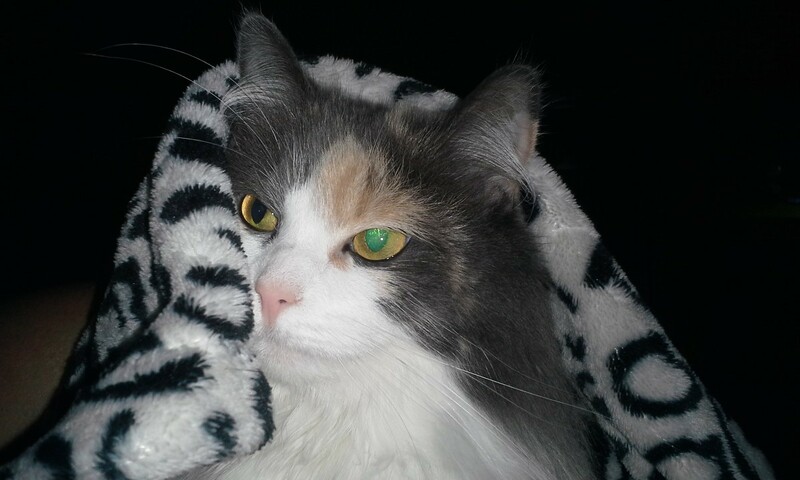 Callie is 5 years old and a calico. We got Callie as a kitten several years ago. She is the mother of 4 beautiful kitties. We kept 2 and gave 2 to other family members. We had her fixed so she won't have any more kittens. I was working from home and when my girlfriend came in she gave me a box and put it in my hands while I was on the phone for business. Cali was our daughter's cat. She got her from the Humane Society on Ohau. She came to stay with us for awhile and was the acting mommy cat to our little tabby Pekoe. Maggie the Cat (Calico). 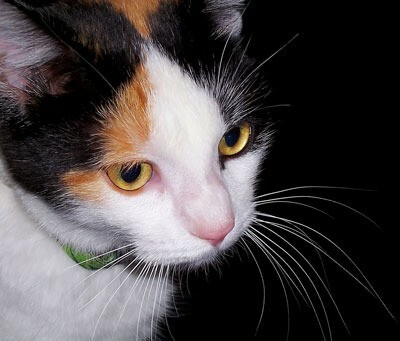 Maggie is a 3 year old Calico Cat. A friend gave her to me when she was a kitten. Ms. Jewel is our calico charmer's name. We brought her home from a Animal Rescue when she was six months, as her previous owner passed away. It was funny because of her vibrant colors, we named her Jewel. However, I think she was meant to have this new name.